In this paper, the EuQoS Consortium offers its first architecture release in order to provide an initial view on how end to end QoS is provided over multiple and heterogeneous networks. The EuQoS end to end Architecture has two views; a network deployment view across a number of autonomous systems (AS) domains and a software view within an AS. 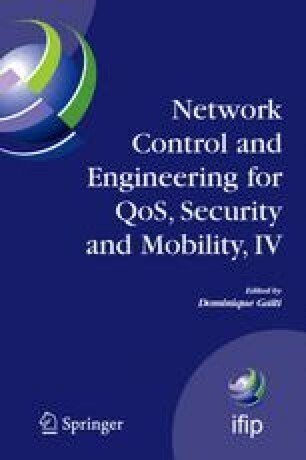 It was funded on a division of the end to end QoS paradigm along a vertical axis - Service, Control and Transport plane — and an horizontal axis — network division between the various technology especially Core and Access networks. The solution is based on the concept of end to end path build, used and managed by three processes: Provisioning, Invocation and Operating Maintenance (OAM).